It was a beautiful morning, and both Sinéad and I started the day far better rested then the year before. We packed up what little we had left for the morning, and made our way out the door early. 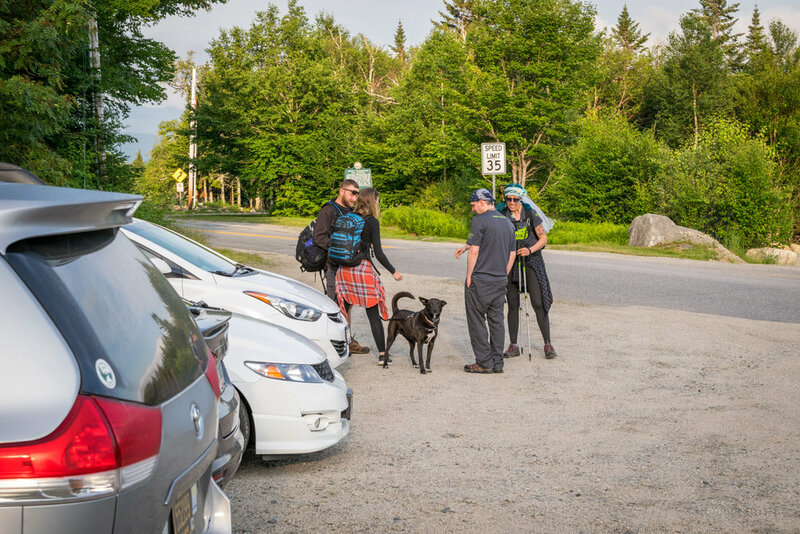 We had the company of Johnny, Maggie, and Rebecca, so the ride to the trailhead was an enjoyable one filled with music, seat dancing, joking, and groaning. The drive was long, but we were to our destination a little ahead of schedule. The entire team was quite surprised to discover we all met up on time and ready to go! 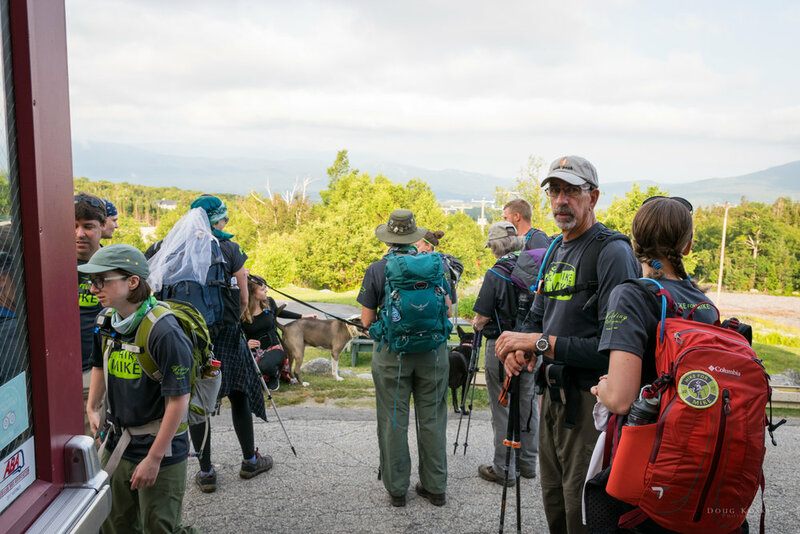 We had a few introductions while getting our packs and boots on (and for some of us, camera equipment as well). Our team for the day included: Amy Koski (now Amy Koski Laquerre), Mark Laquerre, John Koski, Marie Koski, Marie Koski (not a typo! ), Theresa Koski, Eddie, Lindsay Hamrick, Pete Hall, Paige Douglas, Sinéad Koski, John O'Mahony, Maggie Powers, Rebecca Higley, Doug Beauregard, & myself. 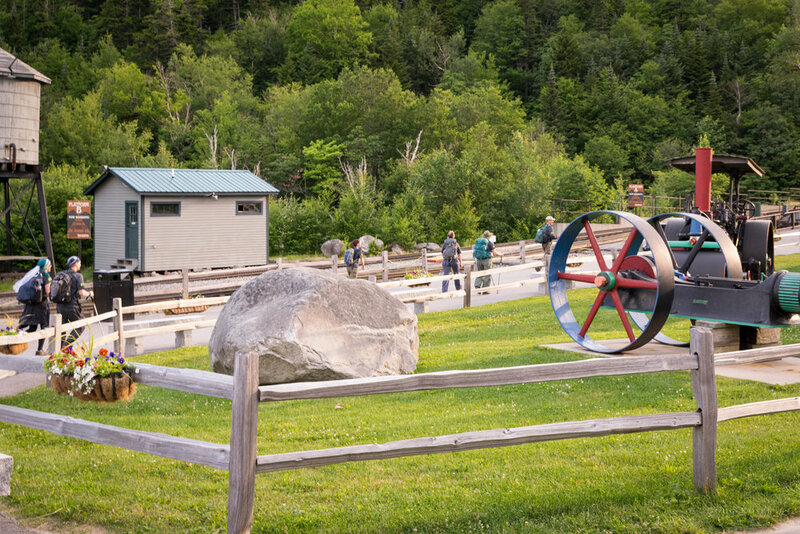 We all made sure to shower ourselves in the delightful aroma of Deet and made the long trek up-hill to the bathrooms! We took in some of the beauty of the morning as we made our way to our path in the forest. We had to cross the rails for the Cog to make it to the start of the trail. They were still in the process of getting the engine warmed up for the first run of the day. We quickly found ourselves tackling the most difficult portion of our journey. 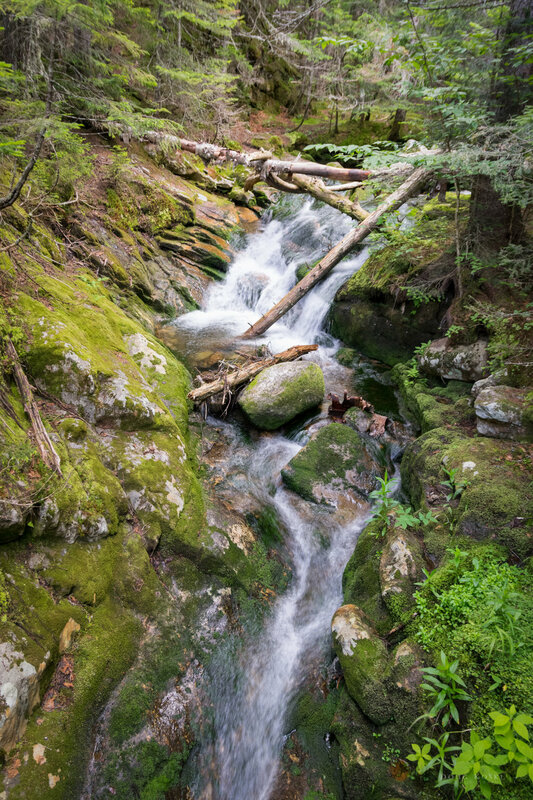 There was a stream to cross right as the trail started, and there were wet rocks and logs to utilize while traversing. We all made it over safely, and proceeded to make our way to higher elevations. 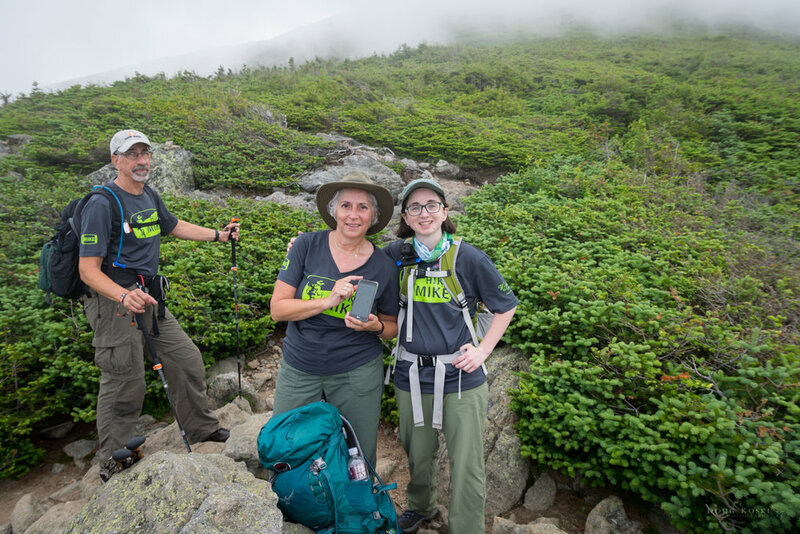 We met some people on the trail, and several of them inquired about our team. We would chat and hike with them for a while before our paces determined our separation. 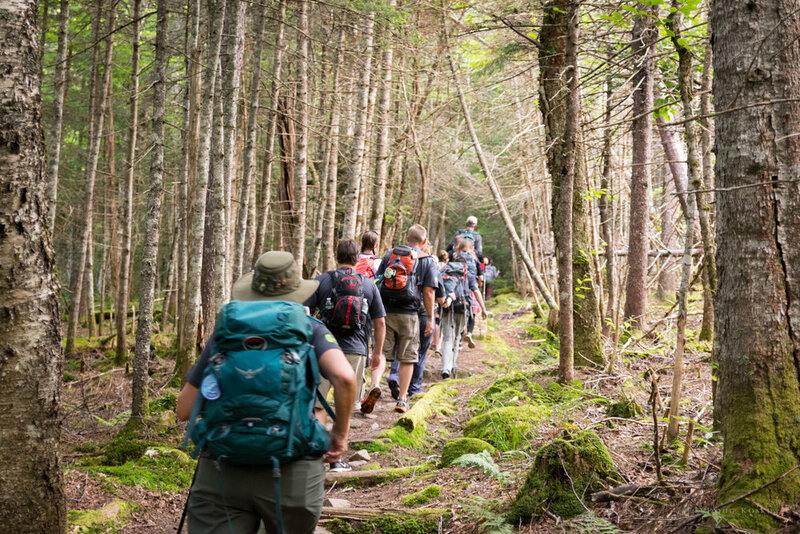 Our team also found itself quickly breaking into groups of differing hiking paces. We still made sure to pause and catch up with others. I tried to keep up with Maggie for at least a 1/2 mile... Not one of my better decisions that day, but I was impressed to have kept up as long as I did. Eventually Doug B and Johnny took over the task of keeping up with Maggie. I waited behind for a bit and hiked with Aunt Marie. We took some pictures of a far less crowded trail. I've mixed some of those into the following pictures. We caught back up with the Bride and Groom before the final push up the trail while under tree cover. Slipped in some shots before they got too far ahead again. The air was starting to warm up and the humidity was only adding to it. The trees were also blocking the breezes we were all pausing to enjoy when we could find them. While in hind-sight it didn't take that long to reach this point, it seemed like the trees were never going to end. It was a greatly welcomed sight to see the sign above! Much appreciated breezes were soon to follow! Aunt Marie and I had caught up with Theresa and Eddie before breaking out of the tree line. It was a great spot for some quick pics! Photo-ops are short lived when hiking. It was time to press forward. Having hiked the trail before, I knew there was a great spot to stop and take a break just a little farther ahead. 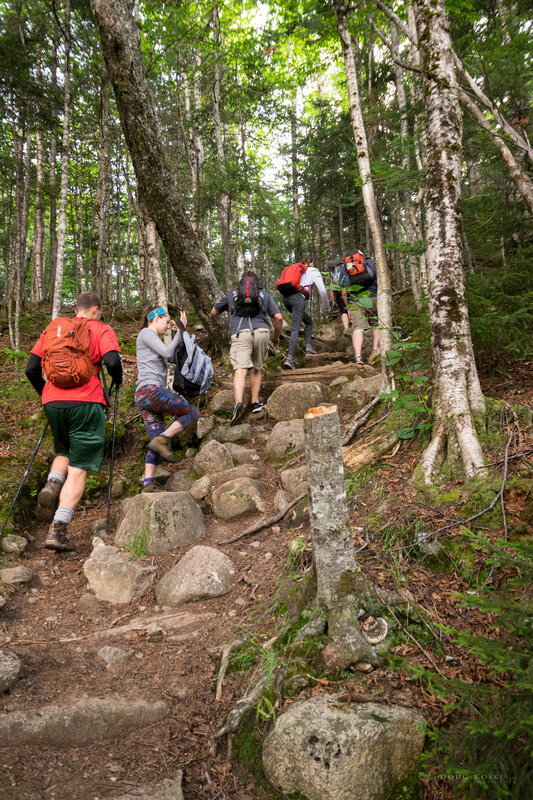 Wasn't long before we received the confirmation that the faster group of hikers had the same idea. The visual rewards for our efforts had begun! The Observatory started looking much more attainable as well! 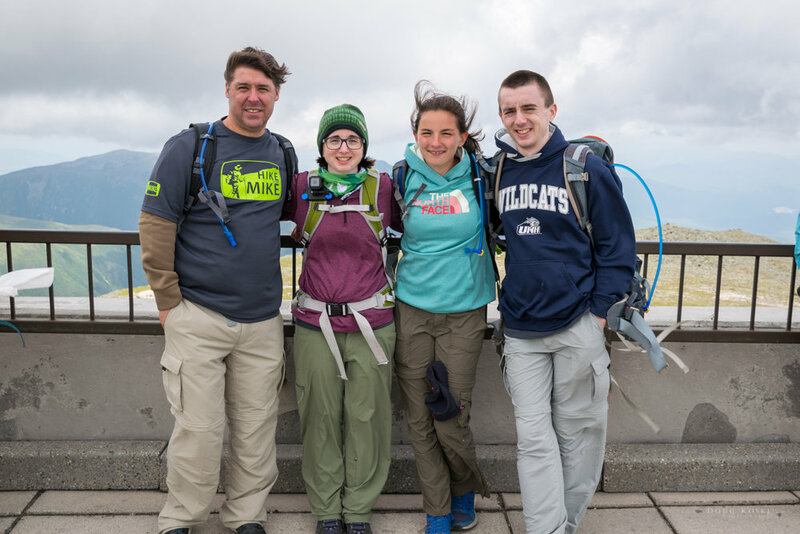 The group stopped to take in the views, consume nourishment, and recharge lungs. The temperature was idea and the breeze was indeed well welcomed. The heat built while in the trees was soon dissipated. A bouquet of flowers had been left at the location, most likely to memorialize a tragic event. The trail called us to continue. Legs were cooling a little too much so it took some effort to get the rhythm back. But we pushed ahead, continuously taking in the blessings that were the views. We were starting to get to high enough elevations that we were looking down upon the mountains around us. It was time to start getting some panorama type shots. We were at the elevation where we would have been getting soaked by the cloud cover the year before. 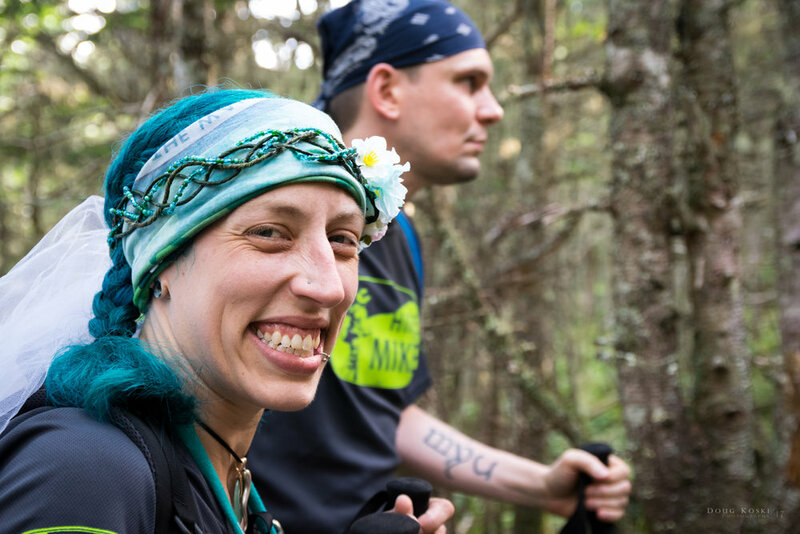 I was excited for the fact that this would finally be the year that Sinéad would get to see all she had accomplished with the hike. The past couple years we'd been drenched in a wall of hardly any visibility. This year, we were truly blessed with the conditions we were hiking in. We were occasionally stopping for quick snacks or hydration, but not nearly as much as I had anticipated we would be stopping. The weather was just about perfect and it was a very comfortable hike - once we put on our long sleeves. We had finally got to one of my favorite parts of the hike when hiking up from the Jewell trail. 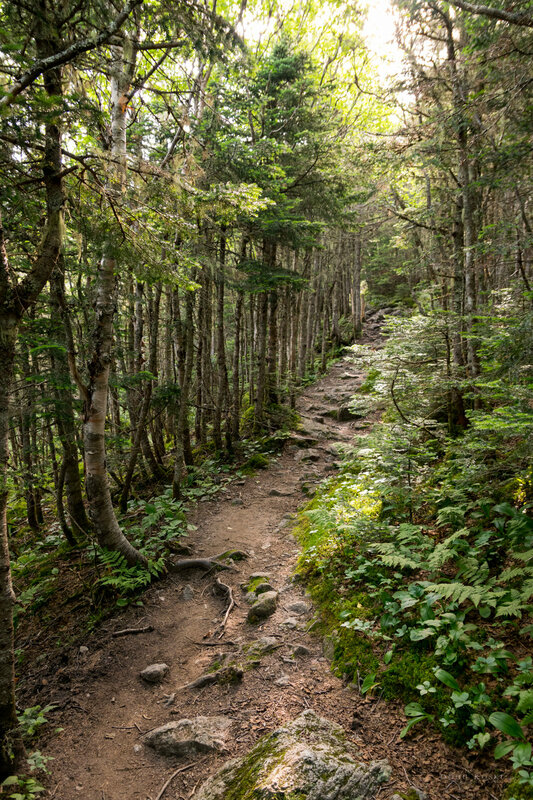 There is a narrow section of trail that can be somewhat intimidating as it skirts right along the edge of a drop-off. 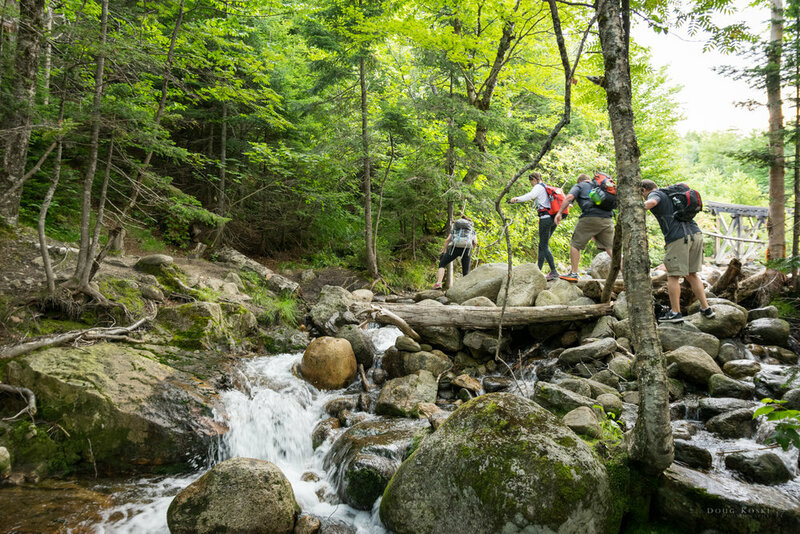 At about this area, hikers are treated to a wonderful view of Mt. Jefferson and the Ravine below. An image on a computer cannot do the view the appropriate justice, but I've done my best to do so. I was with my Uncle Mike. The clouds were rapidly rolling over the mountains that day. Another pretty cool aspect of this portion of the trail is that the Cog runs fairly close to the trail. 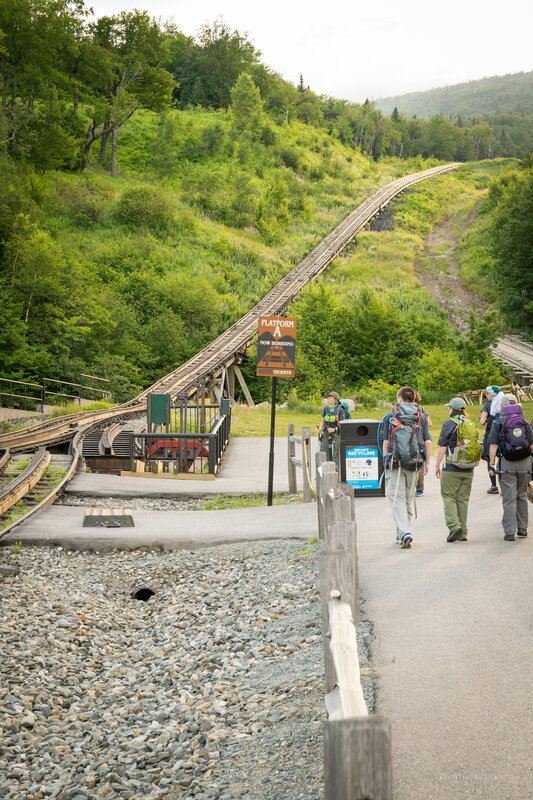 It isn't too much further along the trail before hikers need to actually hike over the rails. The positioning definitely offers a pretty unique perspective to the Cog on Mt. Washington. This was actually the car and engine combo that we ended up riding for the return trip. Couldn't help take a swing at using black and white for this shot. It was around this point at which Johnny, Maggie, Doug B, and I decided it would be good to hike the rest of the way with Sinéad. We could see her in the distance and it wasn't too long before she caught up, bringing with her Rebecca, Aunt Marie, and Uncle John. There was a quick photo-op in support of Granada. With the 2 Johns holding up the scarf, I can't help but think it's got to be a good omen for the team! Wasn't far for us now. We were close to the end for this hike! You're never too involved to not be campaigning! We were nearing the final portion of our hike! It was the section that requires the most of your mental strength. The rock pile is a more daunting sight in person than it would seem, especially after the entire hike up the mountain. Everyone understands the routine here though. Find your pace and go, and cheer on those who finish behind you. 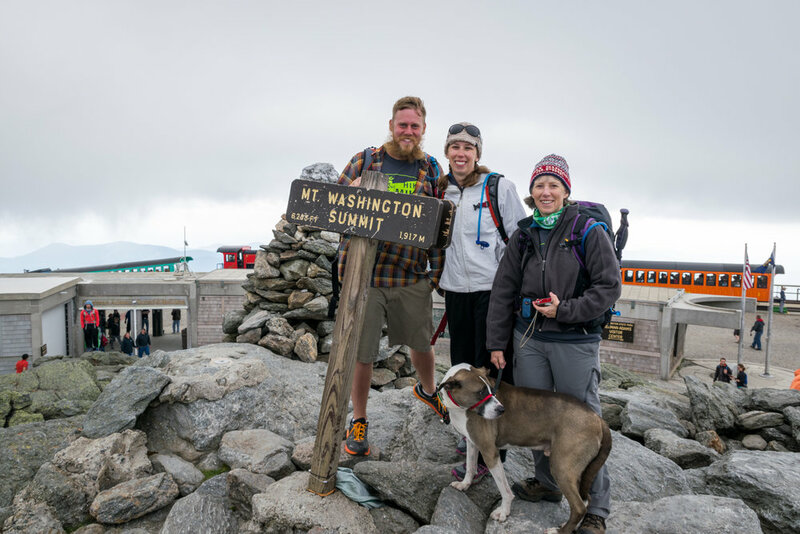 We regrouped at the top, made use of the restrooms, and then got in line for our photos at the summit sign. The air was pretty cold at about 50° F and with the 30+ MPH winds. It was still beautiful at the top, and the sunspots warmed the air enough to be bearable. We also made a quick stop over to the Observation Deck for the view and some more group photos! The cold air, winds, and lack of strenuous movement were proving to be too chilly a combination so we sought shelter within the Observatory. Many of our team members grabbed some hot food from the cafeteria. Sinéad headed off with Rebecca and Maggie to do the tour of the Weather Station in the Observatory. I hung back and visited with Amy and Mark before their ceremony. We had reached the summit with plenty of time to spare before the ceremony would begin. That time seemed to go by fairly quickly, though. Before I knew it Amy was needing to get into her dress. It was a clever dress idea; she utilized tulle to create a tutu, a white shirt for the top, and her mother knitted mittens and a hat to match. It wasn't long after she put on her dress before Christine Girouard, the justice of the peace, spotted Amy and made her way over. 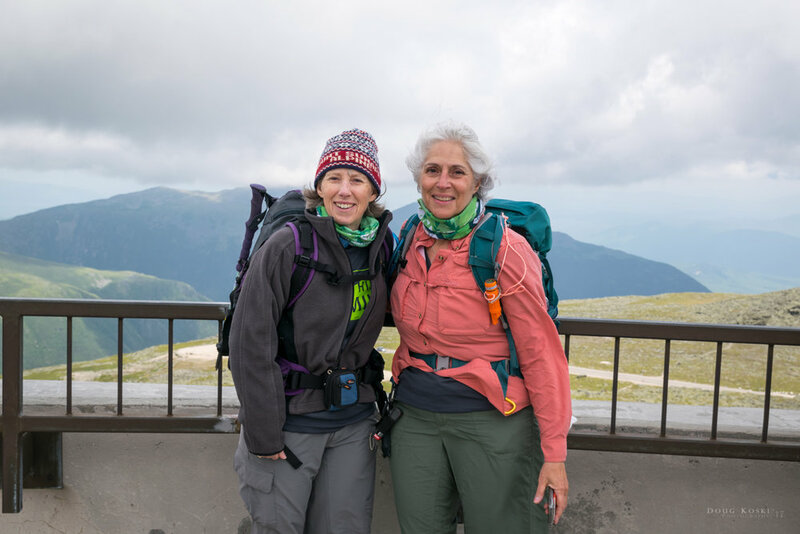 And, it was shortly there after that she was also visited by Sharon Schilling, the President of the Mount Washington Observatory, who was very excited to learn more about our team and the wedding! 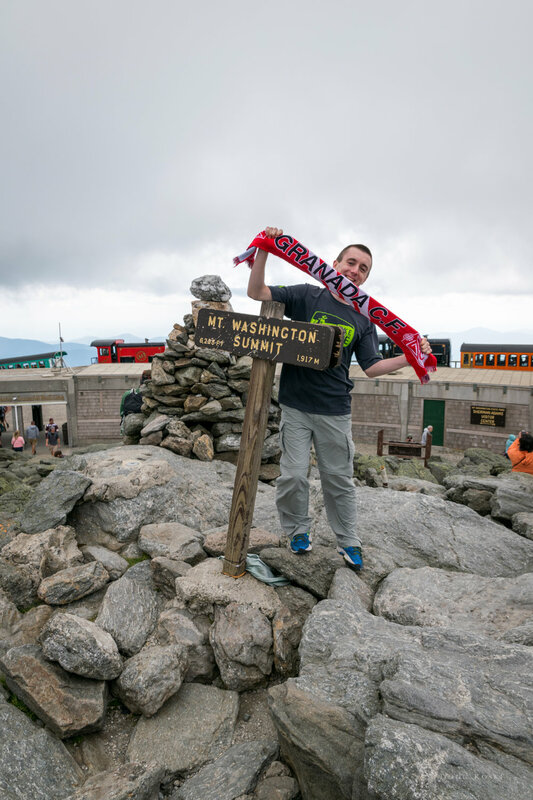 There was also a man named Dan Szczesny who was working on a book about Mount Washington that had been introduced to the group. He was interested in collecting more information on the events for his work! They all chatted with Amy and Mark, and Aunt Marie and Uncle John also helped fill in some information as well. 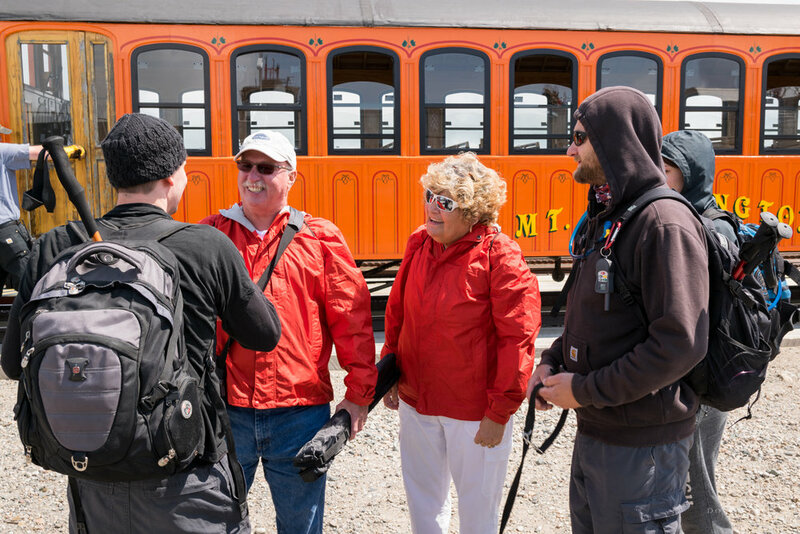 Shortly there after, the guests who drove or took the Cog up the mountain were arriving. The ceremony was approaching! As an entire group, we were surprisingly well coordinated. All of us being on time, we quickly grouped up and made our way to the observation deck. The cold wind made for a slightly up tempo ceremony. 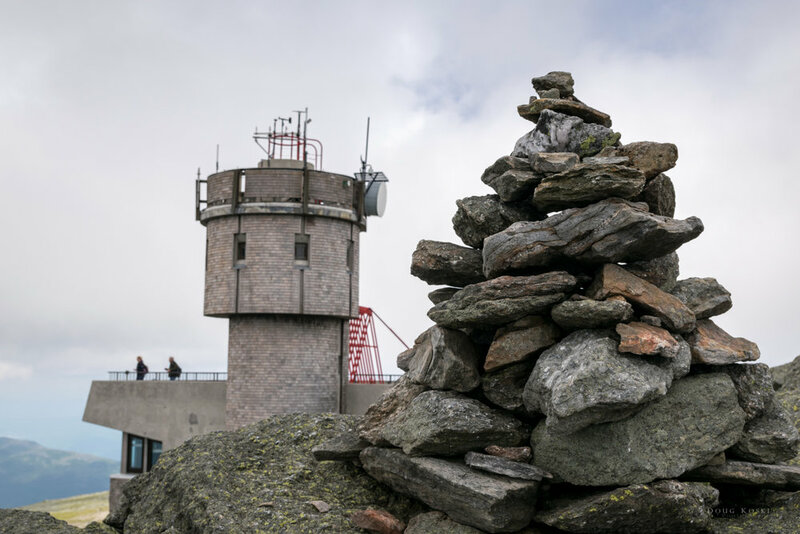 It was a beautiful ceremony, and the conditions helped validate it as a real Mt. 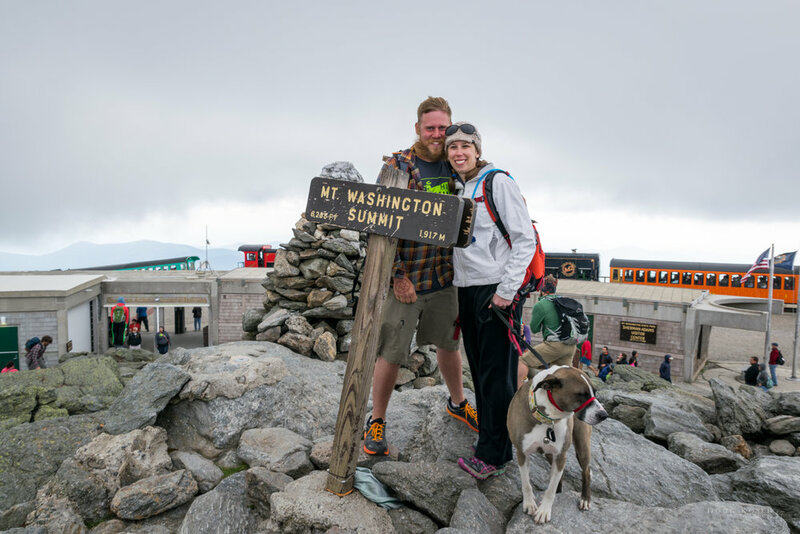 Washington summit wedding. Several of the people who were simply going to see the views from the observation deck stopped to witness the wedding as well. There was still some time before we could head back down on the Cog we were scheduled for, so people made their way to various parts of the summit. 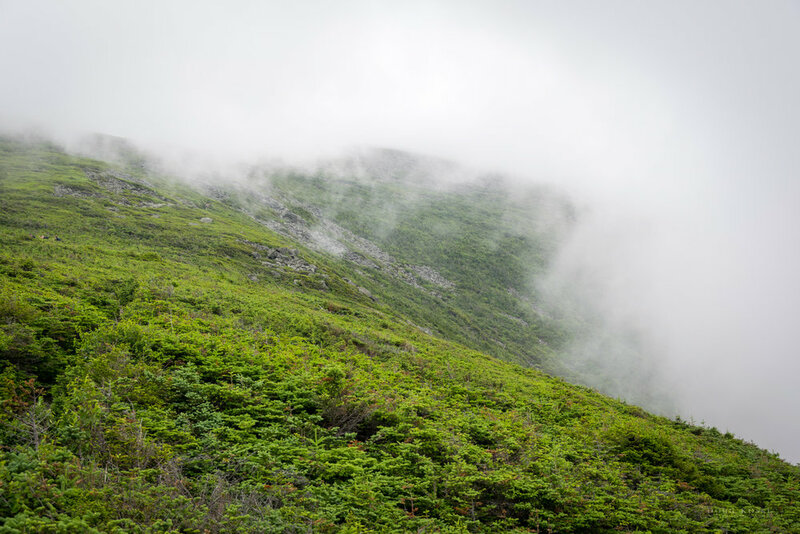 I walked over towards a portion overlooking the Lake in the Clouds hut with Uncle John. We were treated to a view that we were no-where near able to see a couple years back, on Sinéad's first hike. We were not able to really even see the lake on the edge of the trail that year. This year, we could see for hundreds of miles beyond that. We eventually made our way on to our Cog for our descent. The ride included commentary and questions about Seek the Peak, and the wedding at the top. We also got to hear about some of the area and views as we made our descent. Once we reached the cars, Amy asked if I could take one final picture with her cellphone. I made sure we got a copy with my camera as well. It was the 26th. Sinéad and I had just spent a wonderful day kayaking with our Aunts and Uncles, and decided to make a quick pit stop at the L.L. Bean Outlet. I checked my phone upon returning to the car, and in an odd case of déjà vu found there was a voicemail from Krissy Fraser, the Marketing Director for the Observatory. (Sinéad and I were in exactly the same spot, after shopping at the exact same store, the year before, when I received word we won a raffle for Wildcat Mountain Tickets.) I reached back out to Krissy to find she was trying to gather information about the wedding and about our team for the local paper. Tom Eastman of The Conway Daily Sun was looking to put together a news piece about the ceremony. I took down Tom's contact information and thanked Krissy for reaching out. Sinéad and I reached out to Amy and to Aunt Marie (her mom) to relay the information. They were both excited to hear the news and Aunt Marie got in touch with Tom. The article rolled out in print on the 28th. 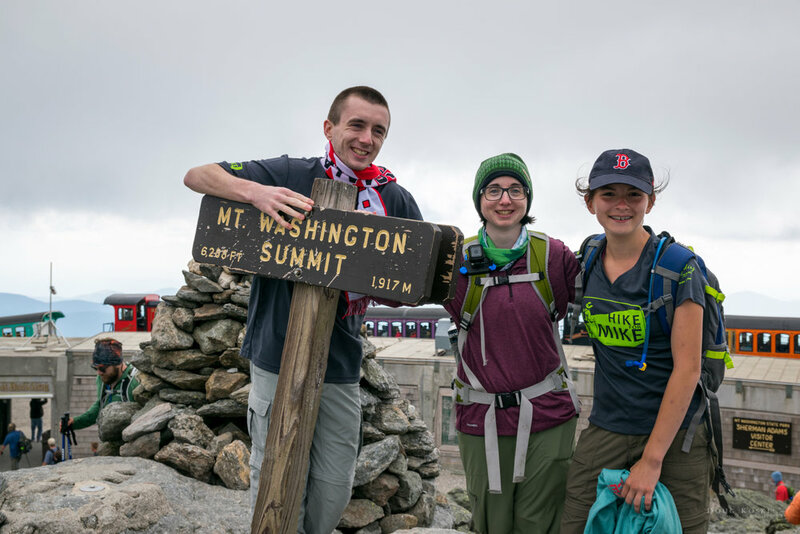 Individual hikers and teams “Seek the Peak” at Mount Washington last weekend. 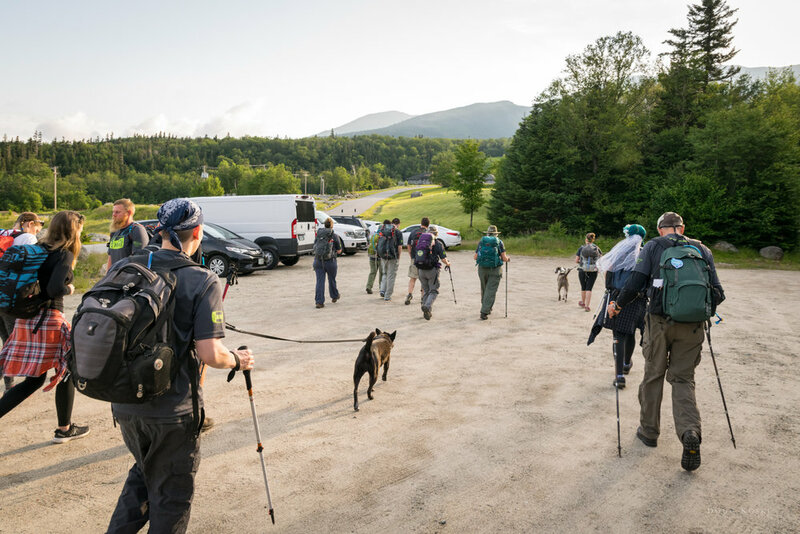 (COURTESY PHOTO)MOUNT WASHINGTON — From family memorial hikes to a wedding and even a visit from The Weather Channel, the Mount Washington Observatory’s 17th annual Seek the Peak last Saturday was deemed a fundraising success. 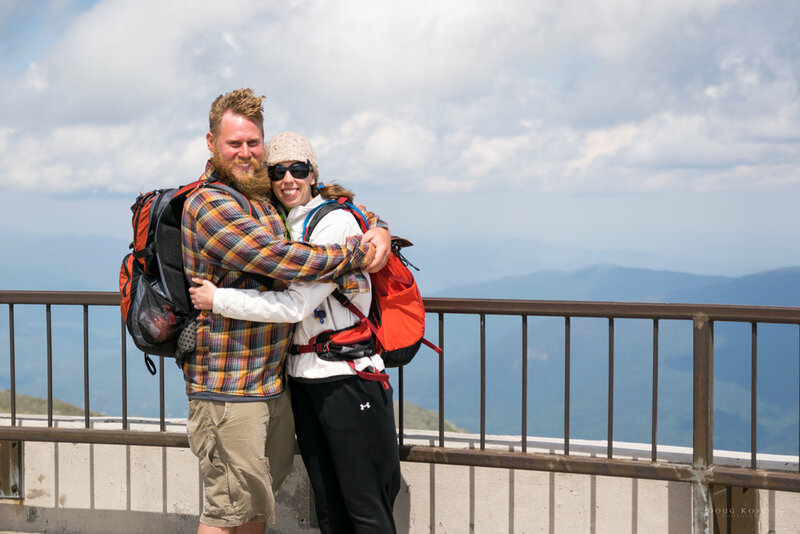 Schilling said the couple tying the knot were part of a team hiking in memory of the bride’s uncle, who had always done the Seek the Peak but died of cancer in 2015. 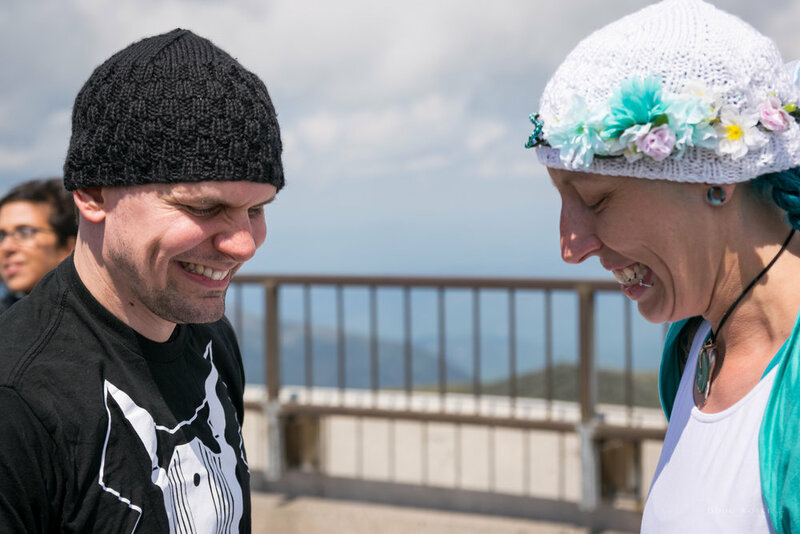 Getting married were Amy Koski and Mark Laquerre of Springfield, Mass., who took part in a “Hike for Mike” in honor of the late Mike Koski. 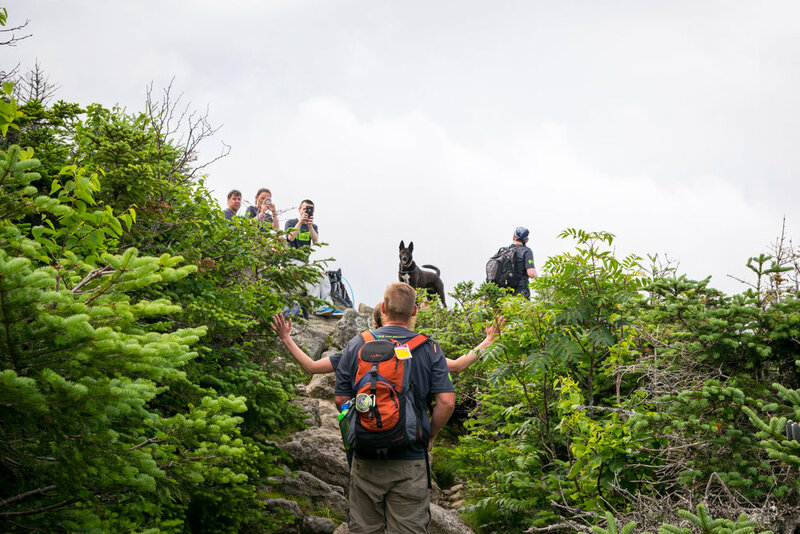 Sixteen family members hiked, 12 rode the Mt. 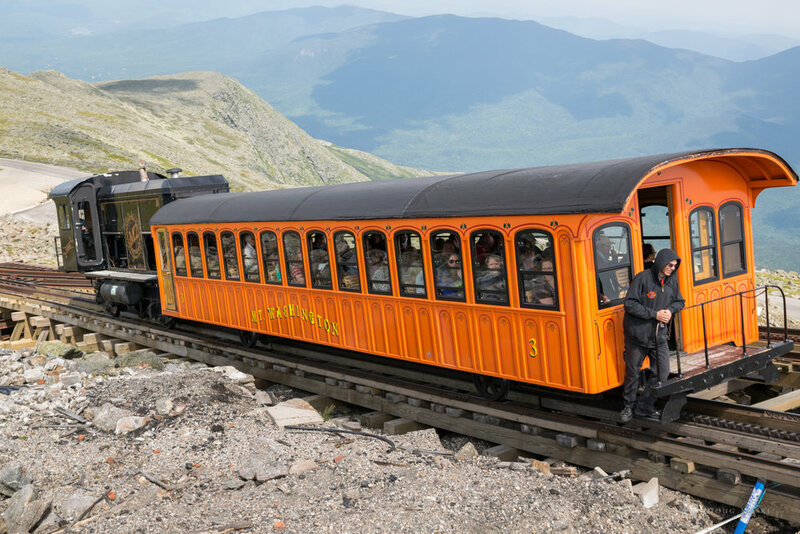 Washington Cog Railway and eight or nine took the Mt. Washington Auto Road, said Amy’s mother, Marie Koski. Performing the summit deck ceremony was local Justice of the Peace Christine Girouard of Eaton. 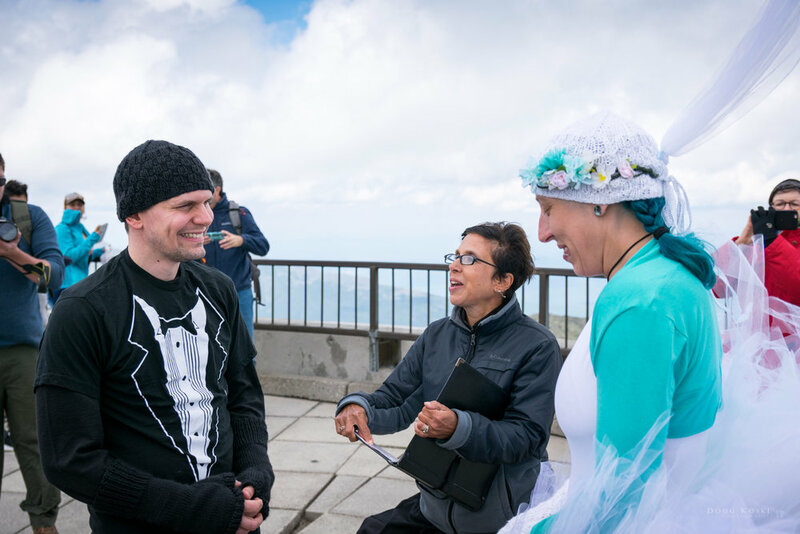 It was also later when we discovered Dan Szczesny had crafted a beautiful poem for Amy, Mark, and the Mountain they professed their vows upon. It does things to people. to be what we are not on the ground. this mountain would be exactly as she's been. Would not be a morgue. in and to the wind.